Starla, Alec, Marissa, and Therasia spent hours down in the fountain lair, discussing and demonstrating various aspects of their abilities. Though she has met others with abilities, she related to Therasia the most. Perhaps it was as simple as being around the same age. The three of them reluctantly went back home once it had become too late, but they made plans to meet up again the next day. “You know who would love to meet her?” Alec asked when they were back topside. “That little pyro,” Marissa laughed. After helping her into the guest bed, Alec slipped in next to her and fell asleep right away, exhausted from the day’s activity. Starla always had trouble sleeping like a normal person, so she sent her Egyptian friend, Karam a telepathic ping, knowing that her body would be forced to cycle itself down with her consciousness away. She waited for twenty minutes or so, but he wasn’t answering. Either he was busy or dead, so she decided to jump into his body and make sure things were okay. She found herself in an unfamiliar location. 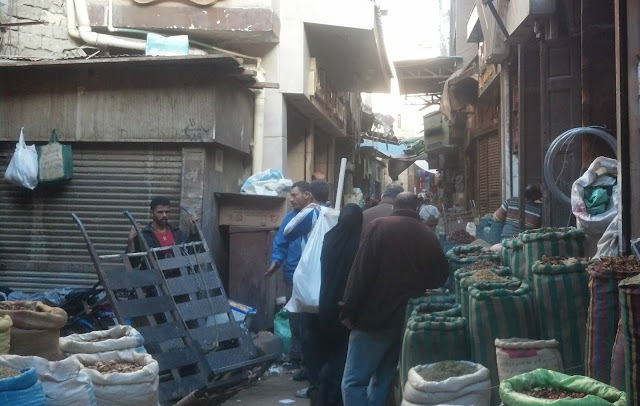 It was a busy marketplace that looked like it could have been in Egypt, but upon closer inspection, none of the products being sold were labeled with Arabic. She wasn’t completely sure because she had never studied it, but it appeared to be Greek. And her environment was an unusual shade of purplish-blue, like she was seeing the world through tinted lenses. “That’s not creepy.” But she took his hand anyway. Their surroundings blurred and zipped away from sight before revealing new surroundings. They were in a small apartment bedroom. Don’s physical body was lying in bed. It looked strangely stiff and uncomfortable, and she couldn’t figure what was wrong with it. “That’s why we’re here,” Don said. “Val, get in here!” he cried. “Yes?” the woman asked while opening the door with her back, a mixing bowl still in hand. Before Starla could see Valary’s full face, something pulled her away from the scene. Karam had evidently responded to her telepathic call, and was pulling her all the way to her final destination in Egypt. No, no no no no nooo, Starla yelled. But she couldn’t get back to Don’s apartment. She sent her consciousness to random places in Greece and Finland, but none of them were right. If she wanted to form a psychic connection, it would either happen randomly, or she would have to seek out someone that she had already connected with. But that was the problem. She had never actually connected with Don or the other two. She had only come across their vicinity. There was no way to return, and there was no way to contact them in the real world. She knew his last name, but that wasn’t enough to find him. She was certainly no private investigator, and it sounded like they traveled a lot. They were lost to her forever. The more she thought about it, the less she agreed with René’s policy of hiding, and the more interested she was in finding others. She wanted to know everybody. She didn’t want to be alone. “What’s going on?” Karam asked after she returned to Egypt. I don’t know. Starla took control of Karam’s head and shook it slowly and deliberately. “I don’t know,” she repeated a few times.